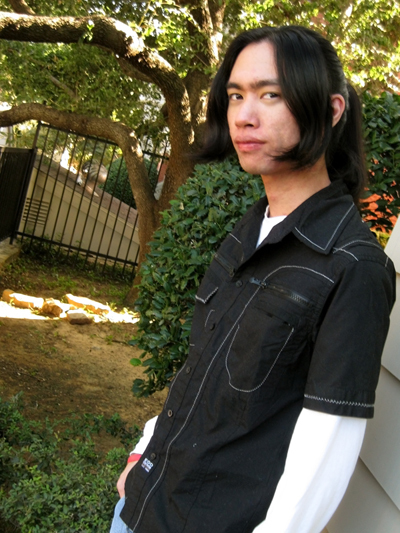 Micah Solusod is a voice acting newbie in the world of anime. He first appeared in 2009 as the younger Gilgamesh in “The Tower of Druaga” and made his debut role as Malek Werner in “Blassreiter” later that year. 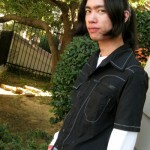 Since then, Micah has been honored to provide voices for a number of characters in other FUNimation titles such as Soul Evans in “Soul Eater,” Tsutomu Senkawa in “Birdy the Mighty: Decode,” Kamui and Subaru in “Tsubasa Tokyo Revelations,” Haruki Hishida in “Rideback,” Ushijima Hiroshige in “Corpse Princess,” various guys with ponytails, and more. He can also be heard in the murder mystery game series “Jisei” as Naoki Mizutani. When he isn’t trapped in a dark padded room he works as a freelance artist and dabbles in music and video games in his off time. NY Anime Festival is probably the only anime con I go to yearly, so I was already planning on meeting Cherami and the others but I was elated to hear that you would be there too! Can’t wait! YOU GUYS TALKED ABOUT MLP:FRIENDSHIP IS MAGIC. This podcast is now 20% cooler. It’s fine that Micah is an introvert, and of course it never shows in his roles thanks to very good directors, and I actually find it endearing. Friendship is Magic is developed for television by Lauren Faust, who directed and wrote some of the similar series The Powerpuff Girls. Her goal with this new show is to make something for girls that doesn’t ever treat them as being inferior to shows aimed at boys, which is why most of the viewership is in fact boys. Brave Little Toaster? Never Ending Story?! OLIVER AND COMPANY!!!! NO! That is my childhood! Not yours!!! But WHY! I am still technically a minor. Maybe it was just cheaper to raise me in the 80’s in the 90’s. Oh god. I even watched Splash and Conan. And then you go after Transformers and my Beast Wars!!!!! No! My childhood! I cried at the Transmutate episode in kindergarten and I still tear up when I watch it now! Yay! A Doctor Who AND Lord of the Rings reference in one show! and the Sweeney Todd thing was hilarious. Haha i had a lazer tag moment with friends and a group of little kids too. Doesnt matter how cute they are slow me down and you’re getting pwned! The priority for an anime adaptation should always be to first make a good movie, then worry about the source material. I’ll take as much liberties with the source material as long as the final product is good. The problem with DB: Evolution wasn’t only that they missed the characterizations of the characters, etc, but that they just released a poor product. I’m pretty sure the brave little toaster is what made me scared of toasters….. yeah.